Spring is my favorite time of year. As the manager of horticultural events, I have the pleasure of working with the Woman’s Board of the Chicago Horticultural Society to plan the yearly Fall Bulb Sale as part of the Fall Bulb Festival. I spend a little more than half of my year thinking about spring-blooming bulbs, and I love it. The National Garden Bureau has declared daffodils as the 2017 flower of the year. For me daffodils reign supreme. There is a wide variety of shapes and colors to choose from—some are even fragrant—and best of all, critters do not dig them up or eat them when they are blooming. Daffodils are classified by the shape and size of the cup (or trumpet) and the petals. For example, Division 1 Trumpet Daffodils have a cup or trumpet that measures longer than the length of the petals. (The Royal Horticultural Society lists 13 divisions for daffodils.) This season, I am especially fond of Narcissus ‘Tweety Bird’. 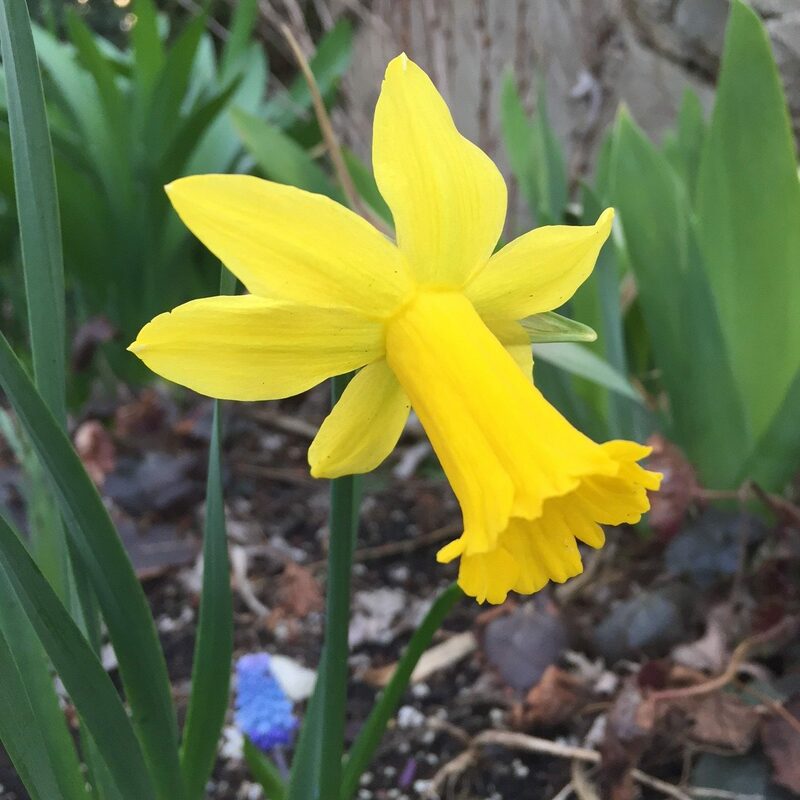 The flower is petite, but still has the stature and allure of the stately trumpet daffodil—with a slight twist: the petals reflex back, making it a Division 6 Cyclamineus Daffodil. I am often asked to decipher the difference between Narcissus, daffodil, and jonquil. 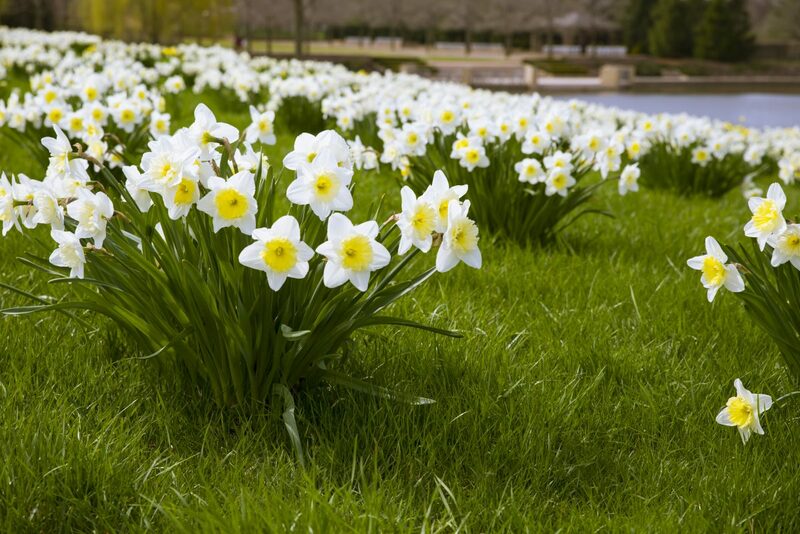 Narcissus refers to the botanical name for this group of flowers. “Daffodil” is the common name for this group, and “jonquil” actually refers to a specific kind of Narcissus (daffodil). 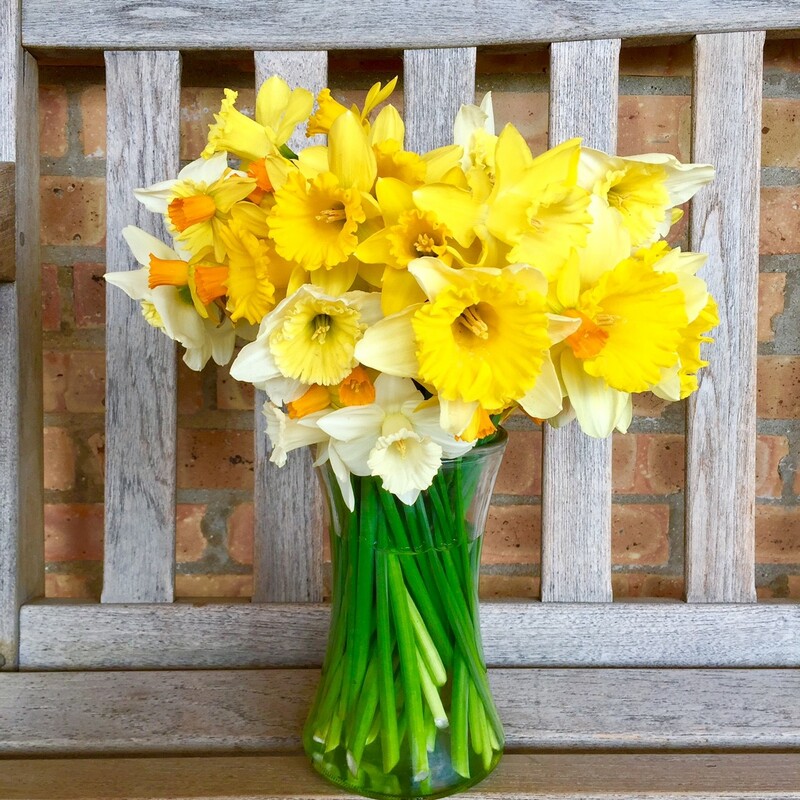 Nothing says spring like a daffodil bouquet. Daffodils as cut flowers are a giant perk of the spring season. Generally, they have a vase life of nearly a week if harvested before the flowers are fully open. Daffodils ooze a slimy sap that is toxic to other flowers and will shorten their vase life. To avoid affecting other flowers in an arrangement, “condition” daffodils by placing freshly cut stems into cool water for two to three hours first. During that time, the stem ends will callus over and the toxic sap will stop flowing. The daffodil stems (do not recut the ends) can be added with other flowers, or you can create an arrangement using only daffodils. Want to know more about cultivating Narcissus? Visit our daffodil page for links and tips. The Chicago Botanic Garden has 219 daffodil varieties—a total of 521,802 bulbs—resulting in more than one million blooms during the spring season (starting in late March and lasting all the way through late May, and sometimes into early June). There are many “sweet spots” in the Garden to find your new favorite variety of daffodil. I especially love the Sensory Garden, Evening Island, and of course, the Graham Bulb Garden. I hope to see you out enjoying the daffodil vistas in the Garden. Viewable from the Visitor Center bridge and the Crescent Garden, Bird Island is currently abloom with daffodils. Come see the 2017 Midwest Daffodil Society Show on Saturday, April 29, noon – 4:30 p.m. and Sunday, April 30, 10 a.m. – 4:30 p.m.